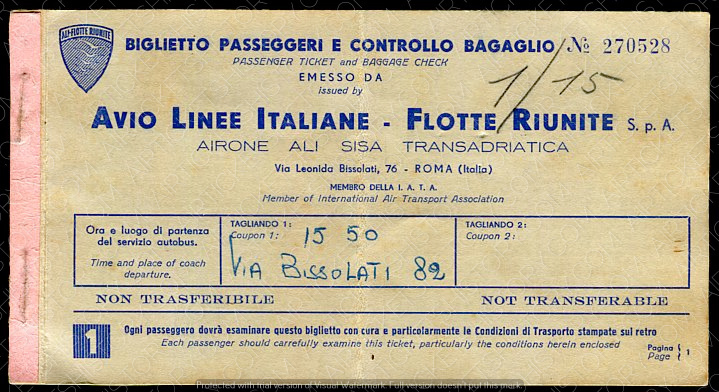 HISTORY: AVIO LINEE ITALIANE - FLOTTE RIUNITE (ALI-FR) was an Italian airline, which operated between 1949 and 1952. 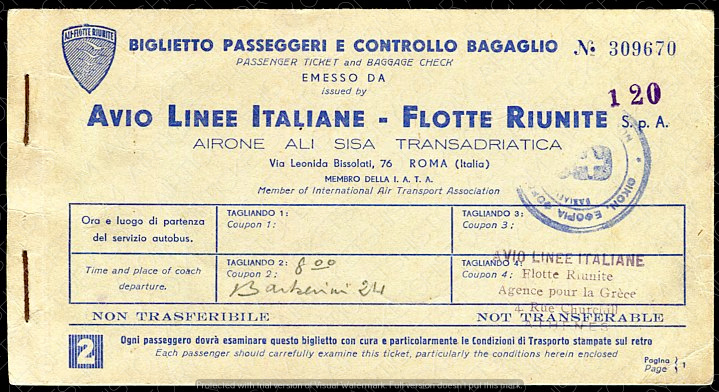 In 1949, Avio Linee Italiane (ALI) merged with two small post-war Italian independent airlines, Air One and Trans-Adriatica, to form Avio Linee Italiane-Flotte Riunite (LAI-FR). The ALI-FR was liquidated in 1952 and subsequently was acquired by LAI.